2009.05.21 Webware 100 winners announced! 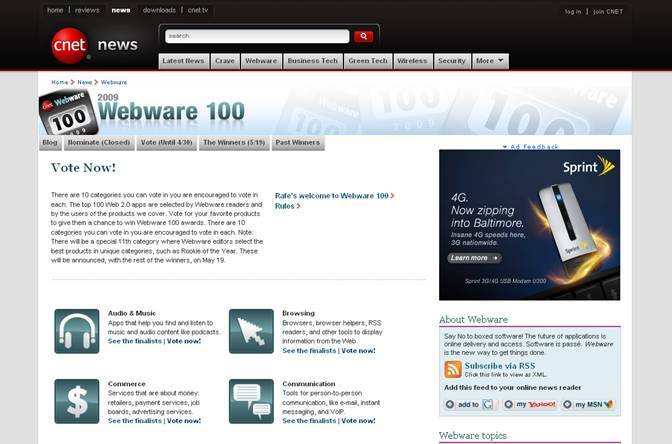 2009.05.20 Webware 100 winners announced! Google Books Search for: Webware 100 winners announced! Google Video Search for: Webware 100 winners announced! Title: Current Needs Your Vote!